I guess I’ll chalk this one up to modern art where the amusement factor overshadowed everything else. Seen in the Hamburg Art Museum. 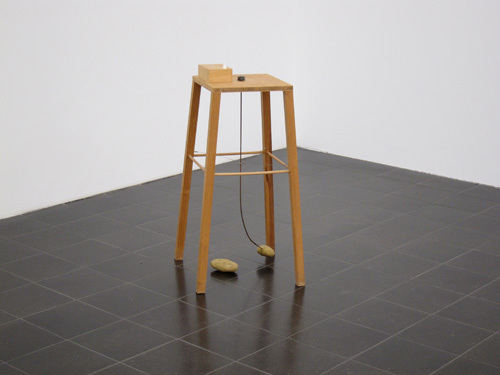 Device which allows one potato to revolve around another potato, 1969, by Sigmar Polke. The signs were very emphatic that you should not touch this display. So I took a picture from afar.